One of the benefits of traveling for work is that I discover different areas of Jacksonville. 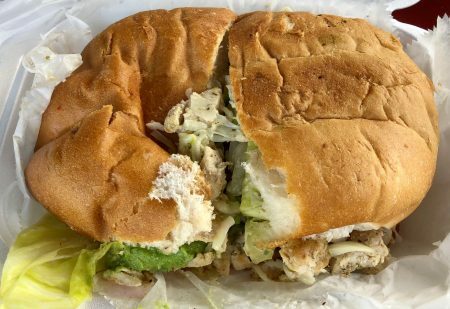 Recently, I was visiting a company on the Westside, off of 103rd St., and stopped dead in my tracks when I saw an employee looking at pictures of tortas and tacos online. She told me I had to try Taqueria Hernandez right down the road- she thought it was some of the most authentic Mexacan food in Jacksonville. Mexican food is one of my favorites (behind pizza of course), so I had to give it a shot. 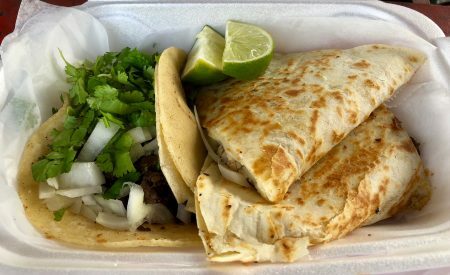 I saved my visit to this small, unassuming food truck for the weekend since tamales are not available during the week. GPS tried to take me to the gas station across the street, but the food truck is on the opposite side, with signs marking the spot and tented tables. There are no frills here, which is typically a good sign in my opinion. When we went to the window to order, there was a slight language barrier, so I would recommend taking your time to get the order in right. The menu is very limited. They offer tacos ($2.50 each), burritos ($6.00 each), or quesadillas ($5 each) with either chicken, beef, or pork. There are a few more meat options for the tortas ($7 each), including chicken, beef, carnitas, or pastor. 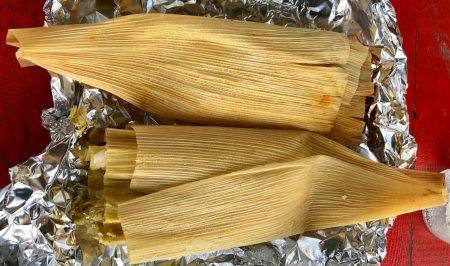 Tamales come in either pork or chicken and are $2 each. We decided on a chicken and a beef taco, a pastor torta, and one of each tamale. All that food, plus 2 water bottles came to $17. We waited about 15 minutes for our food to be ready. We had seen other customers ask for both green and red salsa; as condiment lovers we made sure to do the same. 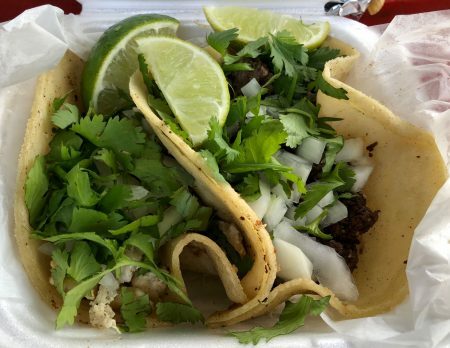 The tacos are served in traditional fashion- cilantro, chopped onion, and lime. The beef had good flavor and sear, with hints of cumin and paprika. The chicken had basic seasoning, but not strong notes of what I associate as Mexican flavors. I mentioned a language barrier earlier- our pastor torta somehow became a chicken torta (I am assuming confusion with pastor vs. pollo). The bun was soft and held up to the mound of meat surprisingly well. It was topped with fresh avocado, tomato, and lettuce. The bread absorbed both salsas well- the green being my favorite. 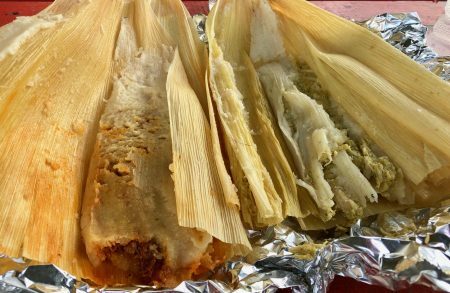 In my opinion, the stars of the meal were the tamales. The chicken was mixed with the green salsa while the red was mixed with the pork. Each was clearly hand rolled and fell apart slightly while unraveling. There was a good masa to meat ratio. If you are in the area and looking for an authentic, no frills, cheap Mexican meal, check out Taqueria Hernandez. We learned they also have a brick and mortar on the same road that appears to have a few more options on the menu.